Looking to upgrade from eWallet GO! to full eWallet® on your Mac but need to import your data? You've found the right article! 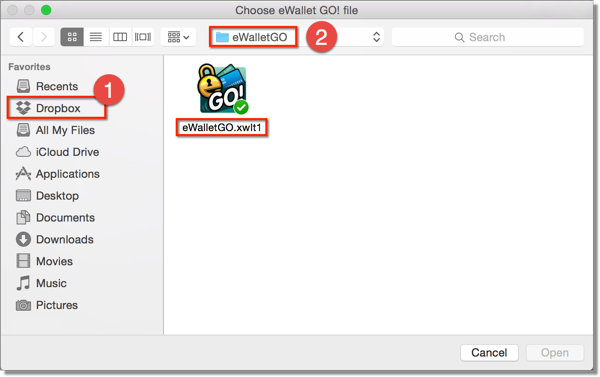 There are a couple of options on the Mac to convert your GO data to full eWallet: import the local wallet file or import the file from Dropbox. Both methods are covered below. 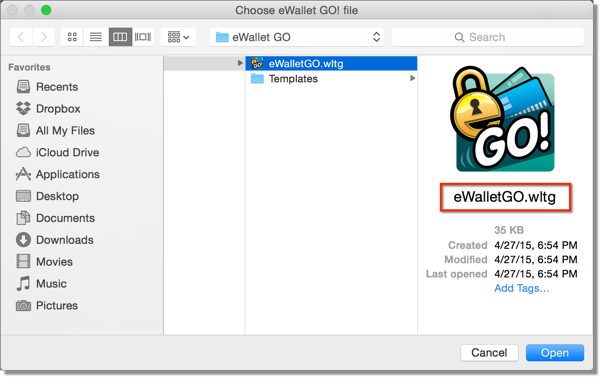 You should now be all set to use eWallet on your Mac now! Next, it's time to do the one-time setup of cloud sync.